Medacbasket Malaga (EBA) strengthened their roster with addition of American forward R.J. McGhee (198-93kg, college: Oklahoma City). 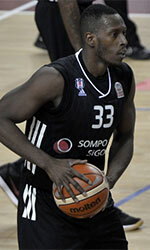 He played in the summer at Halcones in Colombian LPB league. In 26 Liga DirecTV games he was fourth best scorer with impressive 19.8ppg and had 5.2rpg, 3.0apg and 1.4spg in 2016 season. 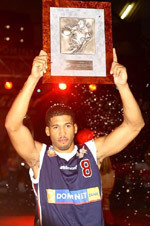 Great year indeed as he was voted to Latinbasket.com All-Colombian Liga DirecTV-1 1st Team and All-Imports Team. McGhee's team made it to the SAC Tournament Semifinals in 2015. He graduated from Oklahoma City University in 2015 and it is his third season in pro basketball.